Conference chair suitable into offices and commercial places. 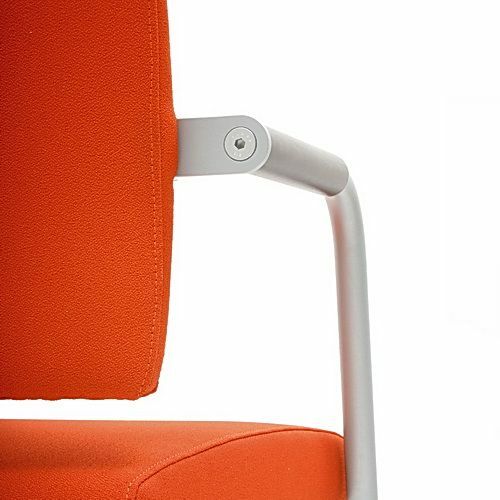 Tube springing base and lightly fixed back enrich the comfortable sitting. You can choose of different shades of powder painting or a variant in chrome. You can choose of a wide range of upholstery materials of different price levels. Seat and back can be uphostered on a customers request into different shades or fabric types – or shade of yarn – which can enrich the double sewing on the sides of seat and back. Armrests are made of solid beech wood – you can choose of 12 shades. 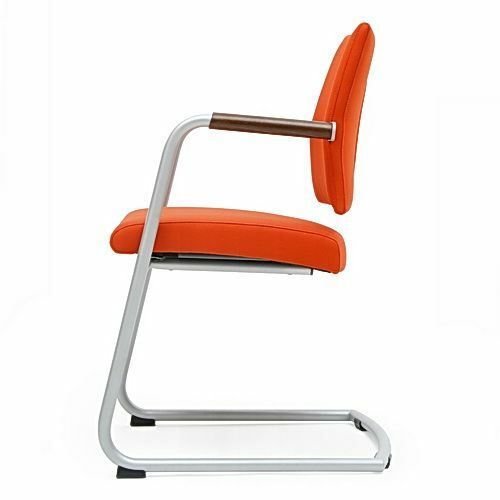 Thanks to its comfort and subtility, this chair is suitable into modern airy conference rooms and offices.